First impressions matter, so make your website count. A business’s website or phone applications are the two major sources of interfaces that act as the ‘middlemen’ between the business and the consumers. This is exactly why it is so important to make sure that your website or appliction is specifically designed to reflect your brand. We offer a range of services within the website creation and maintenance arena including blog posts to make the interface unique and we don’t design for the brand, we design for the people interacting with the brand. Websites have been around for quite some time now, but the most important part is to design websites to suit the changing trends. 90% of consumers use multiple devices to visit the same website and thus the webite should be designed in such a manner that is adaptive to different devices for ease of user interface. Websites are designed with the aim of engaging the people interacting with the brand. A Website is the face of a brand which has to exactly convey to the viewer about the brands through it’s content and images. Web development is the work involved in developing a website for the internet which will go on to be the face of your business. Web development can either be a simple single static page of plain text or a complex web-based internet application for electronic businesses, and social media. 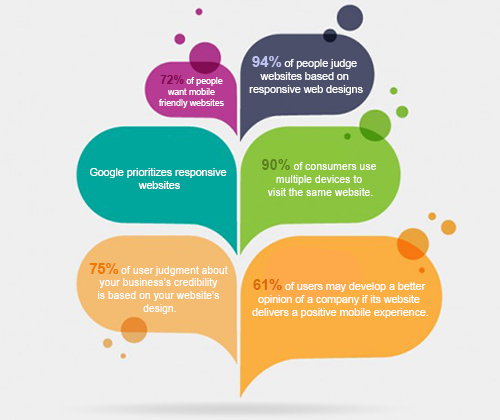 95% of users indicated that a positive user experience is the most important factor when they visit a website. So simply designing and developing a website is not enough, it has to be maintained, where the new content and images are to be updated with the change in trend and also it has to be protected from various online threats. If you are reading the content on our website and if you are able to understand our services with ease, it goes on to prove that website content is essential in engaging your consumers and to get them to interact with your brand. The content should be consize yet informative and easy to understand. We have a team of content writers who are great at their job. The digital era has seen a shift from desktops to applications on smartphones. These applications require your business data and information to be formatted into that of an application suitable for both apple and android in order to make the user interface as simple as possible. The versatality and uniqueness of your application will attract more consumers. Want to get the load off your shoulder for an entire year altogether? All our web development services put together for a year make up the annual maintenance cost. It is a one time payment for a year full of web development services inclusive of website design, development, maintenance and content generation with regular follow-ups.